This has been quite a week! We have traveled to the other side of the country to visit family. 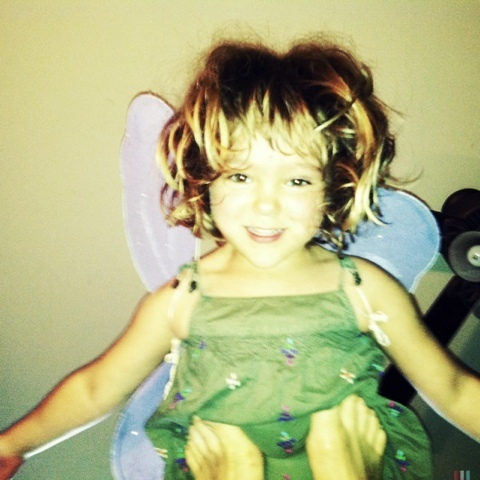 This means that Rowan experienced her first plane ride and her first major time change. And she's been doing really well! Even so, sometimes the best behaved kid has trouble with things like sitting still for hours or waiting patiently in line. So I've been falling back on some of my favorite games that we do at our shows to keep Rowan (and me) happy. 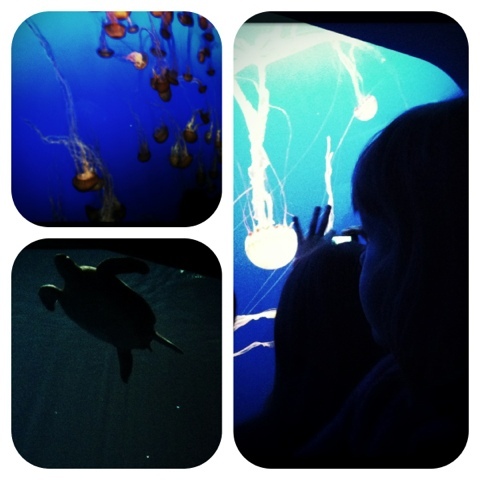 Earlier in the week, we went to the Monterey Bay Aquarium. The aquarium is always an amazing place, but the sea otter exhibit and incredible interactive jelly fish and sea horse exhibits were like nothing i've ever seen before. The excitement of the museums made the simple task of waiting for a table for lunch almost too much for a little kid. So we played Aquarium Freeze. After spending time seeing these animals in real life, it can be much easier and much more fun to come up with new ways to act like some incredible creatures. It's a game that doesn't take up much space, so you can play it even when you're in a crowded space. You just have your kid (or kids) dance around, then call out the name of an animal and they can 'freeze' like that animal. It's easy and fun for a variety of ages. We played at Elmwood Zoo yesterday in Norristown, PA and made a new friend! Here's a little video of us and Tharubu the giraffe. You can come feed the giraffes while they're staying at Elmwood (through the beginning of September). We especially like going to the zoo because it's a place where you can get endless inspiration for games, movement, and songs. I sure do love forts. Today we set things up so we could pretend that we were at the beach. The 'ocean' was made out of three sheets, some binder clips and our living room furniture. Add a few fans for effect, and you're good to go! We've been playing for hours. We even ate lunch on the 'beach' (tuna salad, of course). Crawling under the waves all day is a sure recipe for a happy and tired family at the end of the day. Squeeze the lemons into a pitcher. Dissolve the honey in the boiling water to make one cup of honey water. 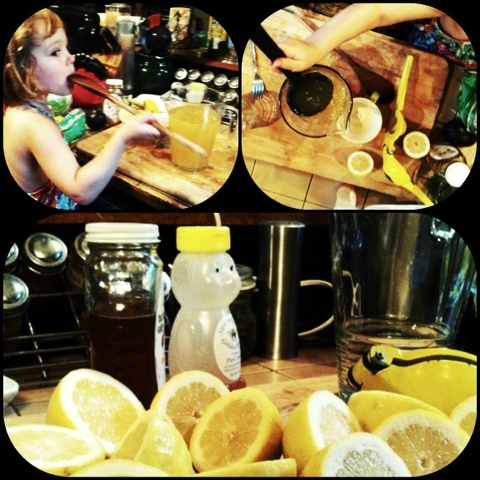 Add the honey water to the lemon juice. Stir it all up. Add lots of ice and the rest of the water. Enjoy! Good evening! I'm just taking Rowan for a night time 'fly'. I vividly remember balancing on my mom's feet just like this when I was a little girl. And, thankfully, when I got a little too big for her feet, my big brothers were up for a challenge and would 'fly' me on theirs. Anyhow, happy bedtime!